Daniel Dennett is arguably one of the most influential yet radical philosophers in America today. In this volume, Dennett is confronted by colleagues and critics, from philosophy, biology and psychology. His reply constitutes an extensive essay which clarifies, and develops further, central themes in his philosophy. The debate ranges over Dennett’s whole corpus, but special attention is given to his major work on consciousness, Consciousness Explained. 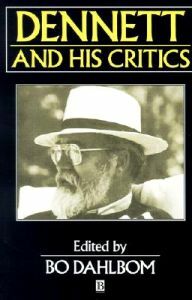 The volume includes a critical assessement of Dennett’s views on behaviorism and the subjectivity of consciousness, the nature of perception and mental representation, intentional laws and computational psychology, the rationality of thought, culture as a virus, the architecture of mind, and the role of artifacts in thinking. Also included is an introduction to Dennett’s philosophy and a full bibliography of his publications. Läs min introduktion till boken.